TOUR GUIDE RESPONSE: Thank you so much Doug. A good review is worth its weight in gold!! Sean was a great tour guide/driver. He took us to all of the places we wanted to see and then to other sites of interest. He was punctual, friendly, and knowledgeable about the area. This was just 1 of the private tours we booked through Tours By Locals and we highly recommend them. Sean is extremely knowledgeable and very flexible. He accommodated our physical limitations. He is a very charming Dubliner. He was a delight to spend time with. We were three days in Dublin before a cruise and spent the first and third with Sean Patrick. There were four of us on this the third day. We spent most of the day out of the city enjoying the gorgeous scenery and even had a private demonstration with a farmer and his sheepdogs. We spent a lovely day in the country and Sean P got us back to the cruise port at the time we asked to be dropped off. You won't go wrong touring with Sean. How could you find a better tour guide to show you the sites of Dublin than a native named "Sean Patrick"?? Can't get more Irish than that! He was extremely knowledgeable, corresponding with us many times to set just the right itinerary yet flexible enough to change things up a little when necessary. He picked us up in a very nice Mercedes MPV. It had seven bucket seats plus the drivers, very comfortable. No complaints, only kuddos for Sean P.
Sean Patrick was wonderful! For our first time using tours by locals, it exceeded all our expectations . He was very informative , welcoming, and willing to answer all our questions. We got an early start beating all the busy crowds, and saw the beautiful countryside of Dublin. There is no question, if we return to Ireland, we will request Sean Patrick to be our tour guide again! We had a delightful tour with Sean who is knowledgeable about all things Irish & much more. We toured Dublin as well as the surrounding countryside including the beautiful Powerscourt Estate with its magnificant gardens. It was wonderful day all around. Sean give us a great tour on Dublin the sites and local information including the pubs. Sean had a great personality and I highly recommend him for a tour! We very much enjoyed listening to Sean on our tour. He was able to share a great deal of just the right things we wanted to know about Dublin. 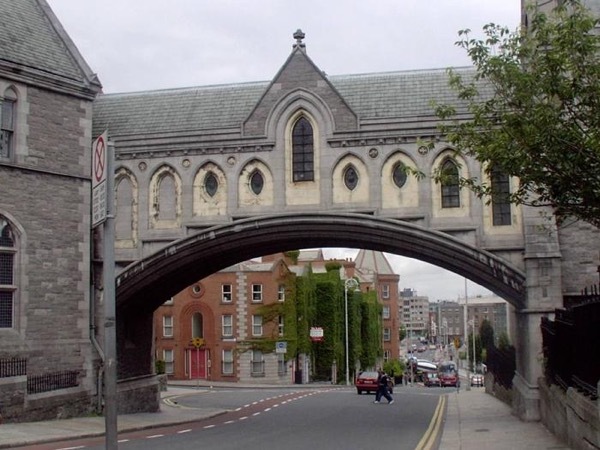 As we had scheduled a second tour of Dublin, with a different guide, he was careful to advise us about different things to include the second day. He also fully answered and seemed to appreciate our questions. A good mix of driving and walking. Sean Patrick is a consumate professional. He possesses vast knowledge about Irish history and the relationship(s) of Irish people past and present to the people of Europe and the United States. We enjoyed our day with Sean immensely and sincerely wished we had more time to spend with him. If we ever return to Dublin or Ireland, we will ask for Sean, and in our future European travels we will always request members of Federation of European Tour Guides. Sean was an amazing guide for our tour. We loved our day with him and would definitely book him again for a longer tour---given the time. he was efficient, more than knowledgeable about everything we did and a complete joy to be with for the day. He was the best we could have hoped for for a one day tour. We will recommend him to others and will use him again when we return to Irleland. Sean Patrick is THE best guide we have ever had - anywhere, anytime! His insightful perspectives made every place come alive. At each stop he brought the culture of the land and the people to life. We let him choose where to take us and he did not disappoint, adding places and stories he knew we'd like. Wish we could rate him a ten! This was Day 2 of our Dublin tour with Sean Patrick. We wished to tour some of the non tourist pubs of Dublin and indeed we did, beginning with the highest pub in Ireland, followed by the longest, the smallest and, finally, the oldest. Along the way we covered the entire breadth and depth of the Irish history and experience. Sean Patrick felt like an old friend by the time we had reached day's end. A better tour guide would be hard to find! TOUR GUIDE RESPONSE: Thank you so much John for the very kind comments. It was a really great pleasure to spend time with both of you. I do hope you come again one day! We wished to see and experience a ground view of Dublin on this Day 1 of our 2 day tour with Sean Patrick. So we strapped on our walking shoes and headed out early on a brisk Dublin morning. We quickly realized that we were in the company of a human Wikipedia of Dublin, and Irish, history and thus the the day long Q&A session began. Hours of delightful time went by as we walked the thoroughfares and back streets of Dublin. Don't delay, book Sean today! Sean is without question the best private tour guide we have had the pleasure to tour with. He is very knowledgeable about his Country and was very informative throughout the tour. He is personable and not only remembered everybody's names but also interacted with everybody in the group. He is number one. Sean was a pleasure, a walking encyclopaedia on Dublin sights and history. We wish we had longer with him, but with two younger children in our group it was slow progress. Thank goodness Sean is a patient man. Thank you, we loved your company and learned alot. Sean is a terrific, thoughtful guide. We had a lovely day with him and he provided lots of great advice for the rest of our stay. We completely enjoyed our time spent with Sean. He is knowledgeable and just a pleasure to spend time around. We were a group of 8 walking the streets of Dublin for four hours on a rather cold and windy day. Our guide did his best to keep us warm by keeping the speed and filling us with history and stories from Dublin. We enjoyed it very much and would like to recommned everyone to spend a bit of money and time on a guided tour. It will bring your visit to a new level. TOUR GUIDE RESPONSE: Thank you folks for the very positive remarks! Sean Patrick was an amazing hiking and tour guide. He gave us a beautiful hike. He worked with several levels of abilities. He was funny and very informative. TOUR GUIDE RESPONSE: Thank you Mary for the positive review. It was a thoroughly enjoyable day and the weather helped greatly! Sean is very knowledgeable, entertaining, and warm. He's the sort of person the Irish Tourist Board might have invented to promote Irish tourism. TOUR GUIDE RESPONSE: Well that is one of the best ever comments. Delighted that you enjoyed your tours so much. I look forward very much to welcoming you back! Sean is knowledgeable, entertaining, and warm. He made our trip special! TOUR GUIDE RESPONSE: Thank you so much Michael! Glad you enjoed the info. Sean Patrick was great...we had a party of 8 and everyone said it was the highlight of the week...great stories, very informative and stopped for us to enjoy a pint or two! Sean was a perfect guide and host to Glendalough, the Wicklow mountains and Powerscourt Waterfall and had an extensive knowledge of the culture, history and interesting facts of Ireland. We will definitely use him again on a return trip. Really perfect tour of Dublin. For our short trip we covered all the highlights and really enjoyed the conversation and well planned event. We would definitely use Sean on the next visit here. I give our Dublin walking tour a 5 out of 5 rating. Our guide, Sean Patrick also receives a 5 out of 5. He really made the tour great. Sean's knowledge of the history of Dublin was fantastic. I would recommend his tour to anyone coming to visit. Our tour was September 16. 3 hours was the perfect amount of time. Sean was really great. Very professional, informative with attention to details. We had a great time and were able to grasp everything about the city and on national level. Highly recommend his services. Very informative and interesting Sean Patrick is a super guide and has very relaxed approach. Special thanks to Sean from all of us. TOUR GUIDE RESPONSE: Thank so much folks for the kind comments and for the super rating! TOUR GUIDE RESPONSE: Thank you for kind comments and so glad to have such a friendly group! Hotel choice for afternoon tea a little unusual and, in my opinion, not best organised hotel even though booking made in advance and confirmed on the day. Our tour of Dublin and Newgrange was on our very first day in Ireland and Sean Patrick's knowledge of history and culture provided the ideal basis for our entire vacation. He took us on a very thorough tour, telling fascinating anecdotes all day, and was amiable and easy going with the whole family. It is not an exaggeration to say that this tour gave us the background to enjoy the rest of our trip thoroughly. We loved the day we spent with Sean Patrick and heartily recommend him to anyone! TOUR GUIDE RESPONSE: So nice to hear such complimentary comments. It was my great pleasure to look after you during your group's introductory stay in my native city. Of course it helps when you have such a pleasant group and super advance planning! Sean is a fabulous guide. He showed us the whole city, and we really enjoyed all of his stories. Wold recommend him in a heartbeat!! TOUR GUIDE RESPONSE: Thank you so much for the kind comments, it was my great pleasure to look after you in my native city. I am really delighted that you enjoyed the tour! Please do come again.